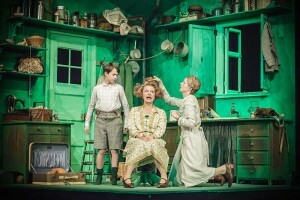 UK - Billed as ‘the latest in the exciting tradition of War Horse and His Dark Materials, Emil and the Detectives requires lighting designer Lucy Carter to transform the National Theatre's Olivier Stage into 1920s Berlin, utilising the subtle colours and theatrical grade dimming of Chroma-Q’s Color Force 48 and 72 premium performance LED battens. Lucy - a respected and sought-after lighting designer with an eclectic 20-year career - has specified 12 Color Force 72 1.8m / 72" and six Color Force 48 1.2m / 48" length fixtures to wash numerous scenic elements softly and evenly, evoking the atmosphere of the play’s period. All of the Color Force units are rigged overhead between a series of portals to wash down in subtle colours. They create a full wash and also work in smaller sections to create a ‘broken up’ coverage. "For me, the best thing about the Color Force battens is the array of colour options, allowing me to wash the stage with sweeping colour that’s both powerful and beautiful," says Lucy. "Most importantly, they have the ability to emit these colours in a very subtle way, which is something, if I’m honest, I didn’t expect from LED lighting. "The colours achievable with the RGBA are really lovely, and I’m excited about being able to create an open white which matches with the tungsten in the rig and a great version of the colour correction filters such as L 201 L 200 L241 and L 219." Lucy's visual design is a striking contrast, referencing black and white silent movies and the bright neon lights of 1929 Berlin. The daytime scenes offer the cold monotony of life in Berlin’s busy city streets, with Lucy using cool tones and shades of white to create an oppressive atmosphere; she then cranks up the colour palette to conjure up a bright, neon burst to reflect Berlin’s night time excitement and seedy underworld. The Color Force battens are designed to deliver the highest grade of light output, offering custom optical design which provides a smooth, even light output with outstanding colour blend across the spectrum - for equally impressive bold saturates, subtle pastels and a complete range of whites from 1,000K to 10,000K. technologies, provides meticulous colour consistency between fixtures in any situation. In addition, through batch control and careful thermal management, fixtures deliver the same colour results during any period of operation. 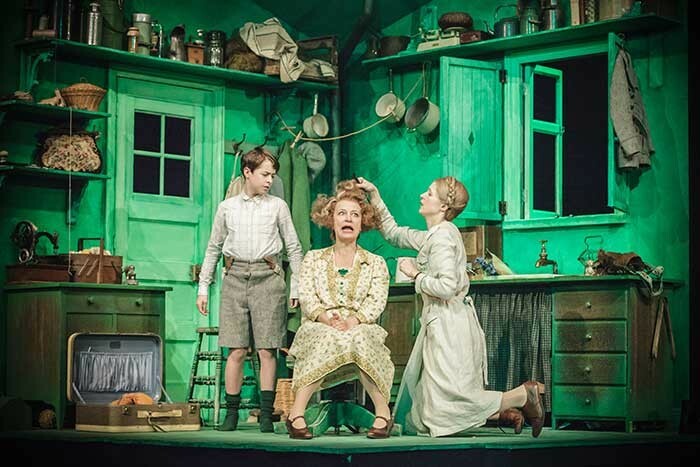 "One of the great successes for me using the Color Force battens in this production is that they remain subtle and easy to integrate because of the bottom end dimming," Lucy continues. "Contrary to the other LED fixtures we’re using in the scenic elements, the Color Force units invisibly arrive into the scenes with no pop or bump. Incredible." The National Theatre is promoting Emil and the Detectives – written by Erich Kastner and adapted by Carl Miller - as its ‘big new adventure’. The run is currently scheduled into the Spring of 2014. 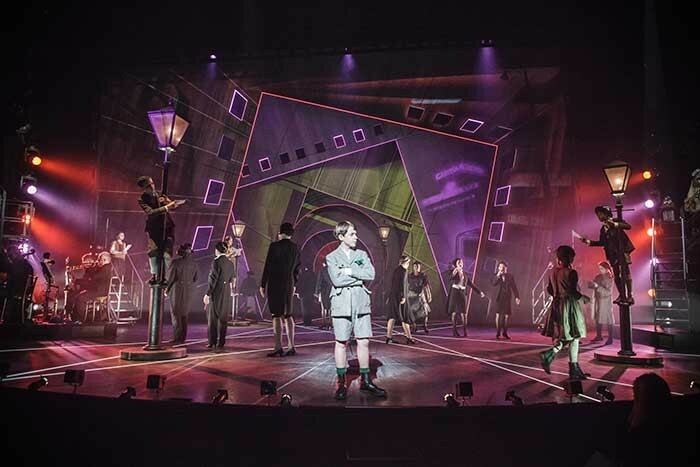 Lucy concludes: "Having been given the opportunity to use the Color Force fixtures on Emil, I can now utterly understand how they can be a useful and a powerful creative tool for theatrical lighting designers."